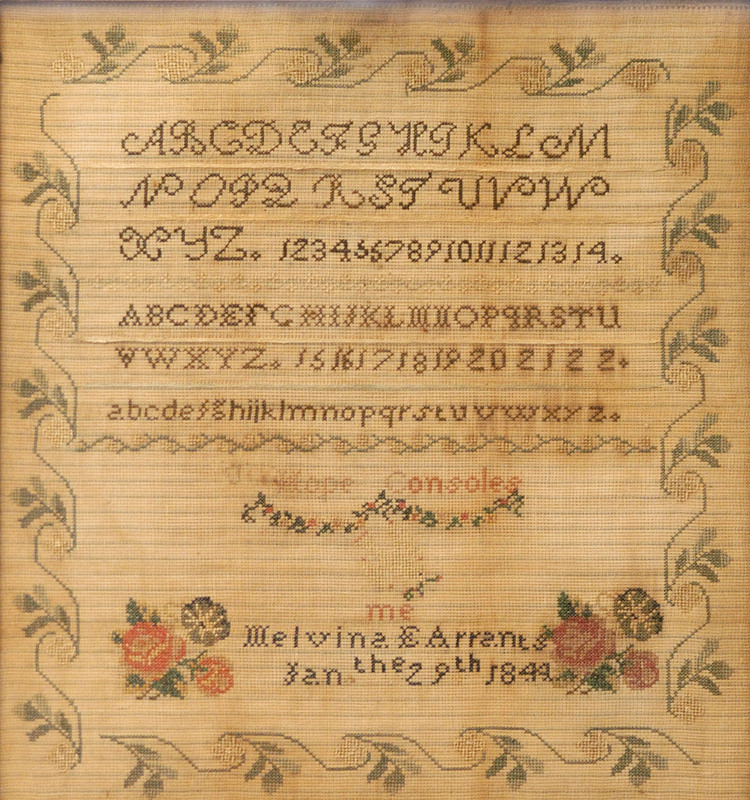 Manda Melvina E. Arrants (1834-1844) was one of several children to die prematurely in the Arrants family. 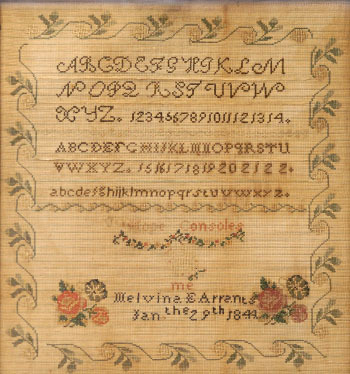 She may have been bed ridden when she stitched her sampler, as she finished it on Jan. 19, 1844 and died a few months later on May 31. Melvinas verse, stitched around a white dove, reads Hope Consoles/me, a poignant reminder of her short life.